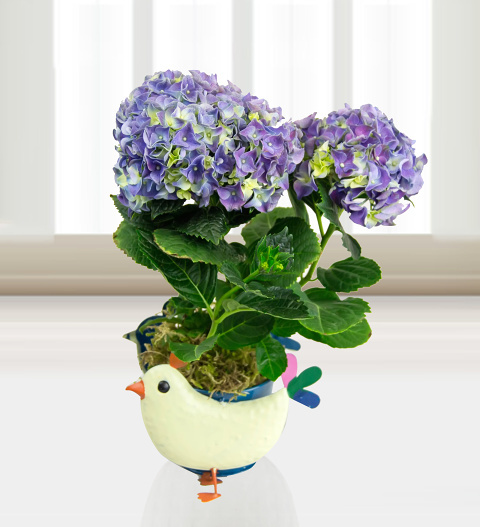 A delightful shabby chic style planter with blue Hapanese Hydrangea. A truly delightful flowering plant perfect for all occasions during the Summer time. The plant is very easy to look after and enjoys lovely weather. This quirky gift is guaranteed to be well received and comes with a free box of our very own British made Valley Chocolates. Chocolates may contain nuts.